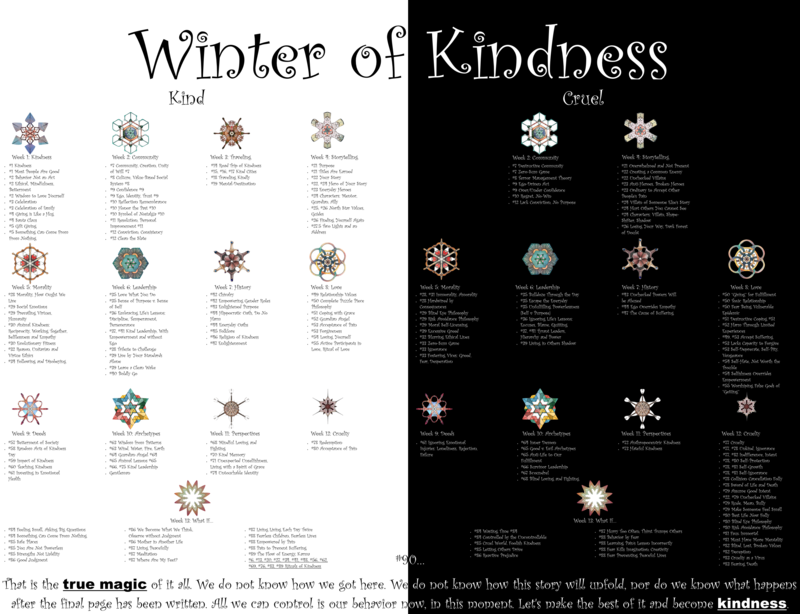 During the 90 days of our Winter of Kindness we explored nearly 200 concepts of kindness and cruelty. We asked ourselves daring and even scary questions, examining our behavior to see how we can be more ethical, mindful and make things better. It was a privilege to have this time with you and share these philosophies. And remember…That is the true magic of it all. We do not know how we got here. We do not know how this story will unfold, nor do we know what happens after the final page has been written. All we can control is our behavior now, in this moment. Let’s make the best of it and become kindness.